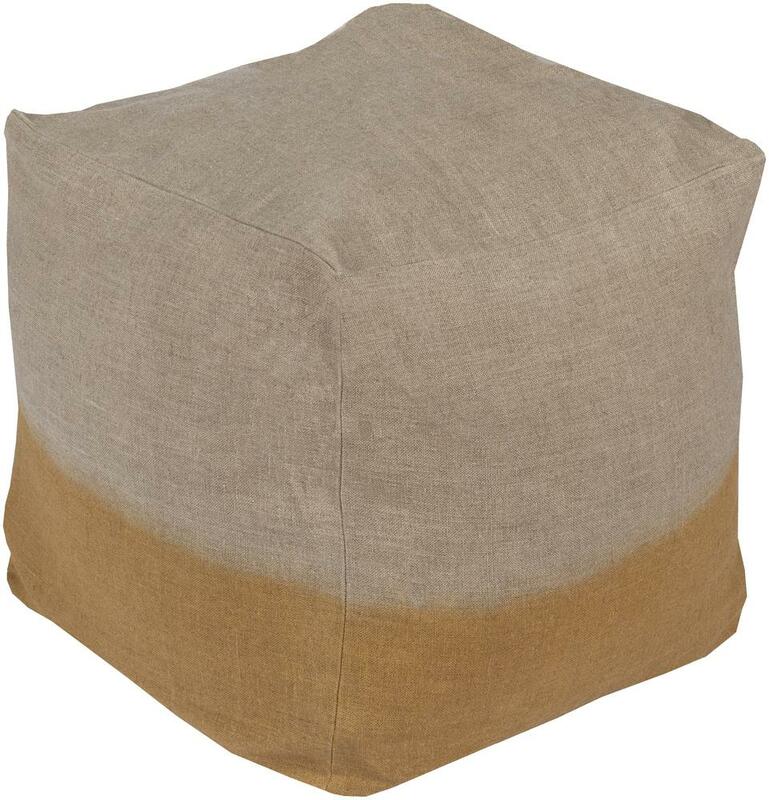 Embody a natural yet unique look in any space with this exquisite pouf. Featuring a burlap construction with a pop of bright color at it's base, this piece will emanate a sense of timeless charm in your home décor. Genuinely faultless in aspects of construction and style, this piece embodies impeccable artistry while maintaining principles of affordability and durable design, making it the ideal accessory for your décor. The Poufs 18" x 18" x 18" Dip Dyed Pouf by Surya at Miskelly Furniture in the Jackson, Pearl, Madison, Ridgeland, Flowood Mississippi area. Product availability may vary. Contact us for the most current availability on this product.